Van Zyl says Toyota's hybrid technology is strong brand builder. MUNICH -- Toyota has seen no impact on diesel sales from Volkswagen Group's emissions-cheating scandal, its top executive in Europe, Johan van Zyl, said. The Japanese automaker will continue its focus on its long-term strategy of selling and promoting hybrids in the region, van Zyl added. European buyers looking for fuel-efficient cars have long favored diesels over hybrids, Toyota's specialty, but the automaker says hybrids are gaining acceptance. "Europeans are getting used to hybrids now. Our goal is that 50 percent of our sales will be hybrid by 2020 across Europe. 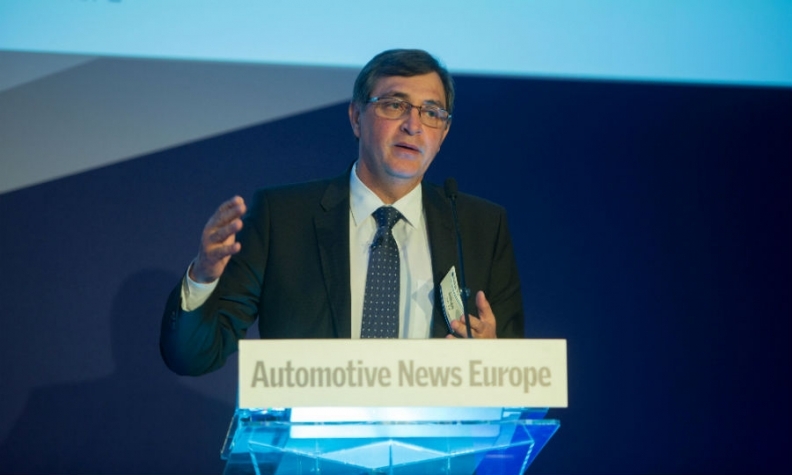 This not only plays to our technology strength, hybrid is also a very strong brand builder," van Zyl told the Automotive News Europe Congress here on Wednesday. He said boosting hybrid sales will put the automaker "in a great position" to meet stricter emissions regulations planned by EU regulators. Toyota has a strong hybrid lineup in Europe, offering the drivetrain on its Yaris, Auris, RAV4 and Prius models. The brand's new C-HR crossover, due to launch late this year, will also have a hybrid drivetrain, along with gasoline and diesel versions. Last year Toyota sold 209,000 hybrids in Europe, accounting for 24 percent of total sales. It expects that number to rise to 270,000 this year, accounting for 30 percent of its total sales. The region is Toyota's strongest hybrid market outside Japan, van Zyl said. Overall hybrid sales are low in Europe, accounting for less than 2 percent of the region's total new-car volume while diesel-powered cars make up nearly half of the region's vehicle sales. Toyota expects a "similar market situation" in Europe this year as last year, van Zyl said, with a strong western European market and "difficulties" in eastern Europe including crisis-hit Russia -- although the trends there "are less sharp than in 2015." The company aims to sell 900,000 Toyota and Lexus vehicles this year in its 53 European markets, which include Russia and Turkey, and to increase that to 1 million in the midterm, van Zyl said, but without sacrificing profitability. In addition Toyota's midterm strategic target is to have a sustainable 5 percent market share in its European region, up from 4.7 percent last year. Toyota is increasing its production in Europe with the addition of C-HR output in Turkey and RAV4 production in Russia. Currently 70 percent of the vehicles Toyota sells in Europe are built in the region, which includes its factories in Russia and Turkey. Toyota wants to boost that figure by 20 percent within two to three years, bringing its percentage of locally produced sales to 80 percent or higher. One cloud on the horizon is a possible UK exit from the EU. Toyota has a car factory and an engine plant in England and exports 90 percent of its vehicle production. Van Zyl said Toyota remains committed to its UK operations whatever the outcome of the UK's vote on EU membership but warned that Britain could lose future investment if it is outside the 28-nation trading bloc. "Toyota sees no benefit to the UK or Europe if the country leaves. The best solution is for the UK to remain," van Zyl said. He was echoing a warning by Toyota's UK deputy managing director, Tony Walker. Earlier this week, Walker said the company's investment programs for the next two to three years are not in danger but if the UK quits the EU costs will rise and future investment in the country would be jeopardized. Editor's note: A previous version of this story misstated Toyota Europe's target for locally produced sales. The automaker wants 80 percent or more of its unit sales in Europe to be produced at its factories in the region.